Overcome dust hazards as well as cross contamination at tablet compression. Minimises mechanical strain, excessive wear of tabletting machine - resulting in minimum machine breakdowns and punch wears. PVC flexible hoses are plain, i.e. without grooves, from inside for ease in cleaning. Four inlet manifolds facilitate to connect Riddhi Press Machine and two Dedusting units. Air blowing fan is dynamically balanced and the unit is with to castors. Provided with stainless steel 304 Contact Parts. GMP (Totally made out of SS 304) is available. Riddhi Strongly recommends the use of Dust Extractor Unit with all the Rotary Tabletting Machines in order to control the flying dust generated during the compression of tablets. 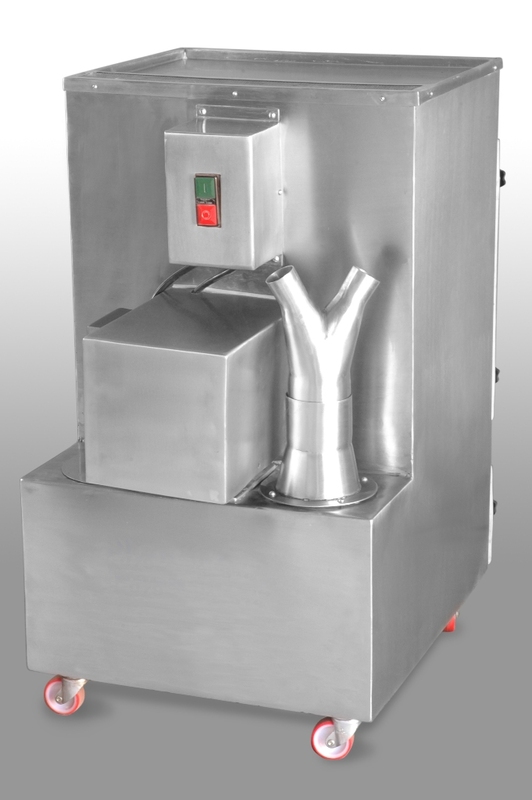 With the use of this unit, dust in Tabletting Machines is kept to minimum but it is difficult to eliminate it entirely. Dust Storage Capacity: 25 ltrs. 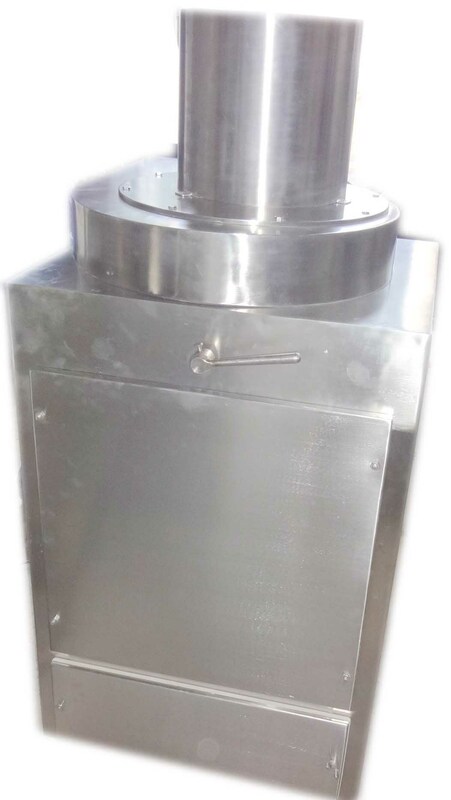 It is essential to use Dust Extraction unit along with Riddhi press to control the flying dust generated during the High speed compression of tablets. With the use of this, flying dust is kept to minimum but it is difficult to eliminate it entirely. Suction Capacity 300 CFM (250 M3/hr), at 125mm W.G. Dust Storage Capacity 40 ltrs. Electricals 1.5 HP./ 2800 RPM/ 3 PH.